Zimbabwe’s army said Wednesday it has President Robert Mugabe and his wife in custody and is securing government offices and patrolling the capital’s streetsfollowing a night of unrest that included a military takeover of the state broadcaster. “as soon as we have accomplished our mission, we expect that the situation will return to normalcy.” The army spokesman called on churches to pray for the nation. 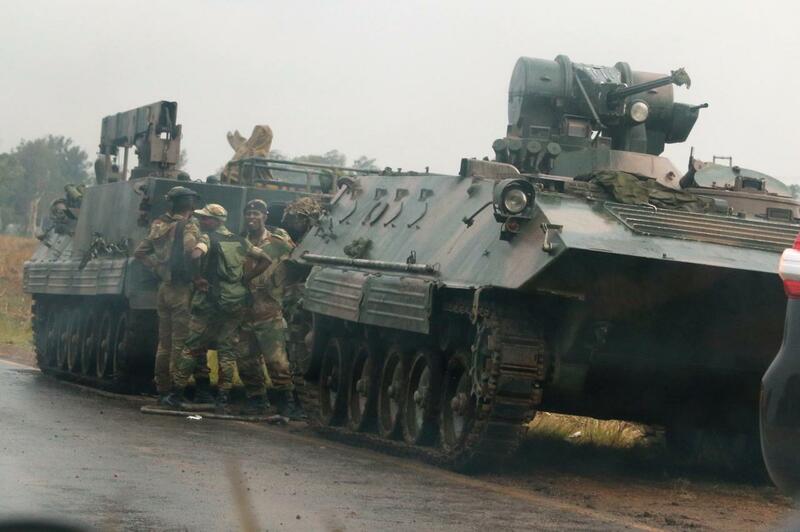 Army commander Constantino Chiwenga had threatened on Monday to “step in” to calm political tensions. Mugabe’s ruling ZANU-PF party responded by accusing the general of “treasonable conduct.” But now Chiwenga appears to be in control.